Hi Everyone, how’s everyone doing this Winter? This is the first “Sweet Saturday” post of 2018. It’s getting to that point of Winter when I fantasize about living in a warmer/tropical place, though I do love the seasons, those cold blasts we got in the last few weeks were rough to endure. 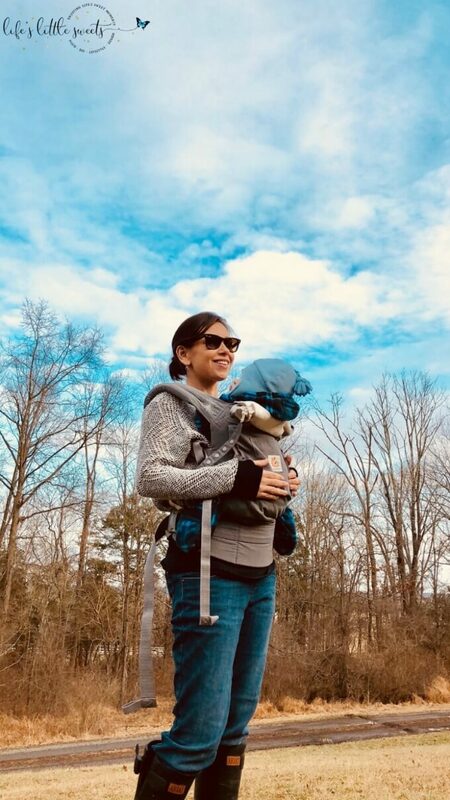 Below is a photo of my son and I walking around our yard on a day over the weekend when it got up to 51 degrees. It was super muddy but really nice to walk around outside without a heavy jacket and my face hurting from the cold. 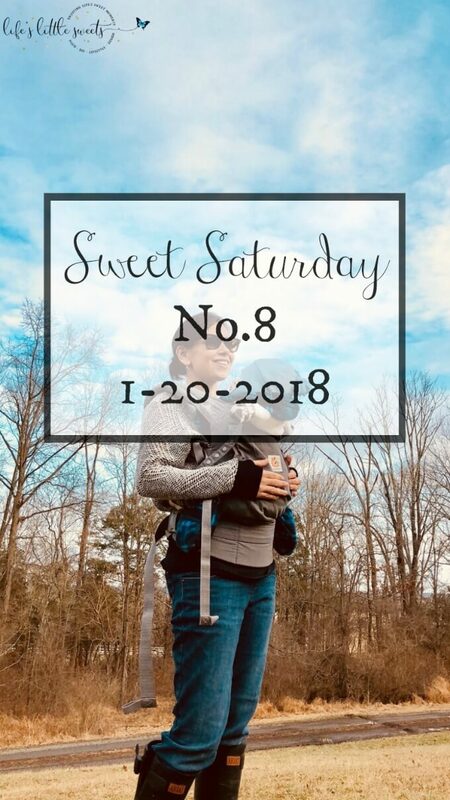 Did you catch the last Sweet Saturday post? You can read it here. To see all of the “Sweet Saturday” posts on LLS, visit here. #1 – 2018 Reader Survey – Have you completed the 2018 Reader Survey? I want to make the content LLS a balance of what I like to create and what you would like to see. #2 – New on the LLS YouTube Channel – I gave the LLS YouTube channel some new cover art (with the new logo) and I’ve been adding new slideshow videos of posts that are popular on the blog. You can visit the Life’s Little Sweets YouTube channel here. #3 – France Gall passed away recently, I’ve actually never heard of her music. Check out a video of her song, Poupée de cire, poupée de son (1965). Open Source (1/7/2018) Mark Blythe’s State of the Union – this was a very energetic and interesting interview. #6 – Entertainment – I have been binge-watching Season 1 Victoria this last week on Amazon Prime, now that Season 2 is on there. I have also been watching Season 2 of The Crown on Netflix (You may have seen me watching episodes on Instagram stories) – it’s soo good. I guess I am a British Monarchy show junkie. Eric and I have been watching Electric Dreams also on Amazon and we’ve have been enjoying that, although I find I really have to pay attention to some of the episodes or else I get confused by the end. I’ve been loving all the futuristic imagery, costumes and sets. In the Winter, we definitely watch more streaming TV than during the other seasons. What’s your favorite shows? Any recommendations? #7 – LIKEtoKNOW.it – I recently became a LIKEtoKNOW.it influencer – you can read all about it in this post.